Want to get your hands on one of the best games of the generation? That’s right, we’re giving away copies of Tetris Effect on PS4! Courtesy of Enhance Games, we’ve got North American and European PS4 codes to giveaway. That means that you could be playing the evolution of this classic puzzle game this weekend. And if you’ve got PS VR too, it’s even more spectacular! Check out our Tetris Effect review and watch the trailer to see the game in action. To enter, all you need to do is Retweet the following and leave a comment to let us know whether you would like to be in with a chance of winning an NA or EU code. RT and comment with your PSN account region for your chance to win a PS4 code for Tetris Effect. Ends at 5pm ET (10pm GMT) today! Winners drawn at approximately 5.15pm ET. We’re putting a short time limit on this, so the winners can receive their codes to enjoy this weekend. We have 8 codes in total, split by four for NA PSN accounts and 4 for EU PSN accounts. Giveaway runs from 14:00 ET (7pm GMT) until 17:00 ET (10pm GMT) on November 9, 2018. Entries after the deadline will be void. Enter by retweeting the giveaway post. The draw will be made using a random number generator at approximately 17:15 ET (10.15pm GMT) on November 9, 2018 and winners will be posted above and contacted via Twitter. Winners will be contacted one at a time until we run out of either NA or EU codes depending on the region requested. 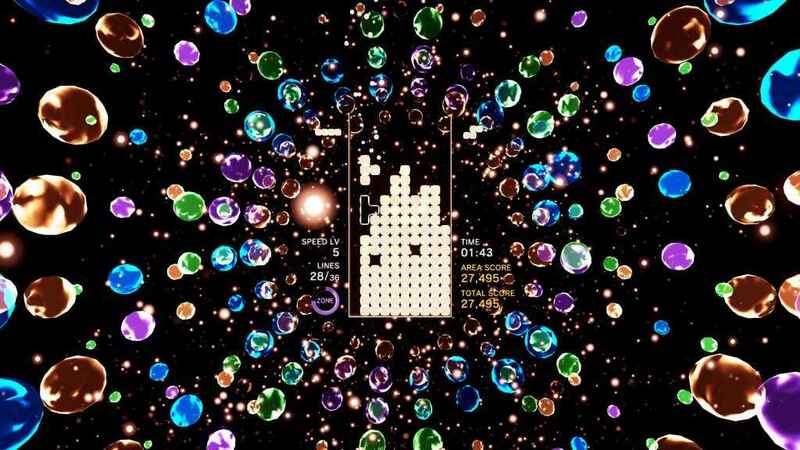 The prize is 1 x code to download Tetris Effect from the PlayStation Store. In total there will be eight winners. The prize is region-locked to the account that’s requested. In the event that the code doesn’t work, PSU will do its utmost to get a replacement but can’t guarantee it. PlayStation Universe reserves the right to cancel or amend this giveaway at any point during the giveaway period. NA, Wasn’t sure if I should comment on the tweet or the post so did both. Thanks for the chance. Commented on the retweet, but adding here…NA. Thanks for the chance! NA or EU code please, i have both accounts. I used to play Tetris until I could see the patterns in my dreams. I would love a NA code so I can sate my Tetris Block Fixation.